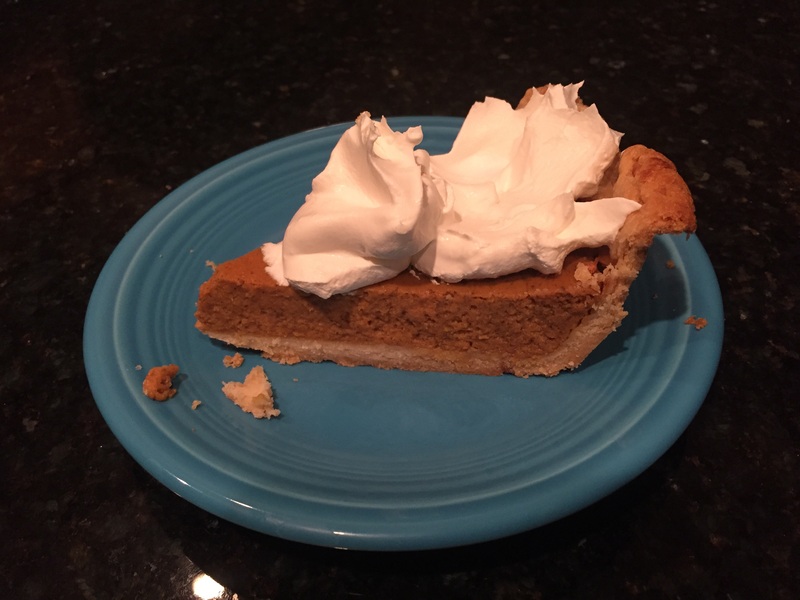 Pumpkin pie is an anomaly to me: it smells like heaven in the oven, but I never, ever want to eat it. There’s no confusion for Clark or Sam: they’re all about the pumpkin pie, all the time. They love both the smell and the taste, as long as Cool Whip is involved. Because I’m (occasionally) a good wife and mother, I try my best to replicate Clark’s grandma’s recipe. It’s a classic mixture of cinnamon, ginger, nutmeg, and cloves that makes our house smell oh-so-good. What doesn’t smell good are my failed attempts at pie crusts. Even the best pumpkin spice blend can’t mask the awful odor of a burned crust. Trust me, I speak from experience. For the past few years I’ve avoided this complication thanks to the help of a kind woman named Marie Callander. I met her in the frozen food section of the local grocery store, and she makes a mean crust. It even comes in a cute little oven-ready tin. So thoughtful. Despite Marie’s fame, I decided to try a homemade crust again. I used a recipe from Pioneer Woman, who is famous for step-by-step instructions with pictures on her blog. The photos are hugely helpful if terms like “pastry cutter” are not part of your daily vernacular. I was so thrilled when my crust hit the freezer. I swear, it looked just like the pictures!!!!!!! 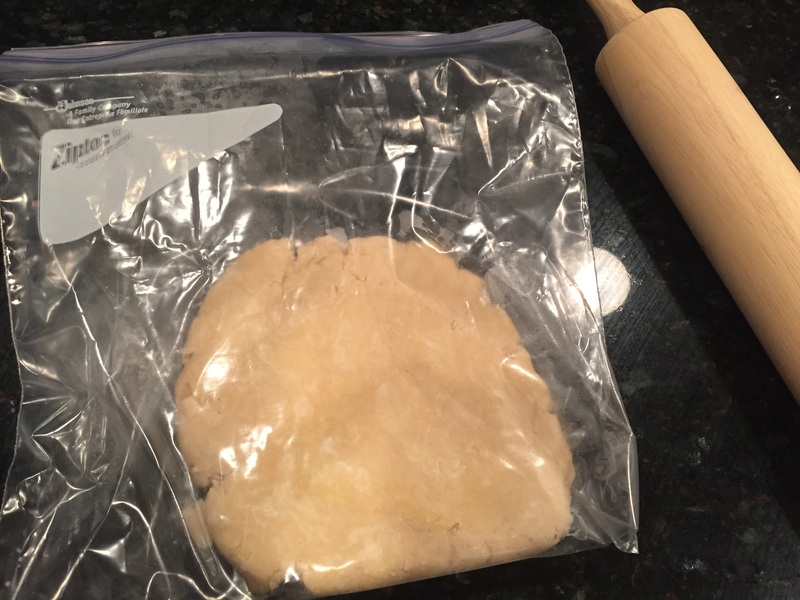 I got a little nervous when I started rolling out the dough. The darn crust wouldn’t stay in a circle. 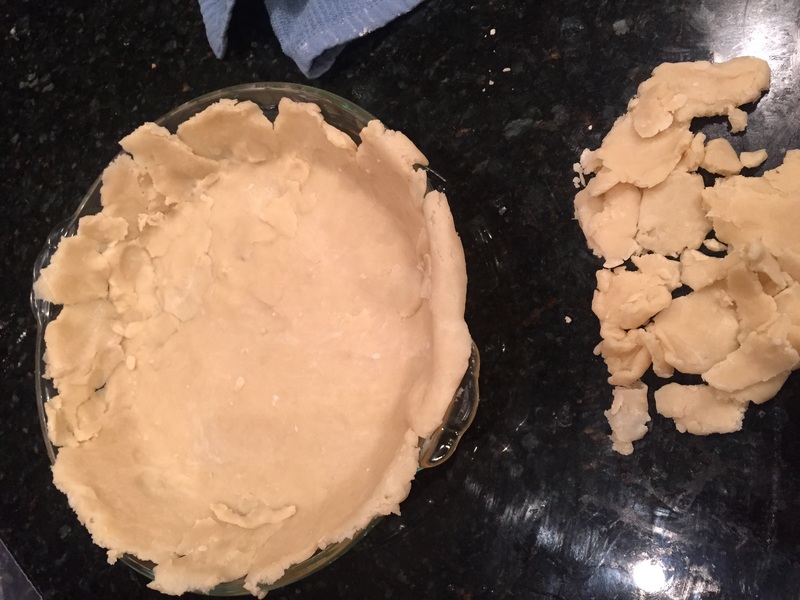 Eventually I decided to piece it together in the pie dish and hope for the best. I also skipped the part where you make pretty fork indentions around the rim of the crust. Clearly that was not happening. The crust recipe didn’t mention baking instructions, but our pumpkin pie takes nearly 90 minutes to cook. I was worried the crust would be crisp and inedible after that much oven time, but crossed my fingers and hoped for the best. Clark and Sam dished up their plates the second the pie was cool enough to cut. They pretended to be Food Network judges as they sampled their first bites, and dramatically moved to a different room to discuss the results. Honestly, I didn’t know what to expect. Whooping cream: 100%. Duh. It’s Cool Whip. Filling: 93%. Delicious flavor, but a little “thick” for some reason. Hmph. Crust: 95%. Fabulously flaky, and it made all the difference. All this scoring stuff was in jest, but I still couldn’t believe it. They gave me an “A” on the crust!! The crust!! “It’s the best pie you’ve ever made,” Clark declared. With sincerity. That stupid pie has me grateful for so much: a kitchen to cook in, a family to cook for, recipes that are passed down, and family who loves me whether the crust turns out or not. Next Next post: Another Husker Win!